Vern Stephens obtained his bachelor’s degree in Zoology from Michigan State University. He served for 21 years in the U.S. Air Force as a fighter pilot travelling around the world and the United States. ​Vern, his wife Susan and their son Zachary live on a 40-acre farm in Laingsburg where they operate Designs By Nature, LLC, a native plant nursery and native landscape consulting company. 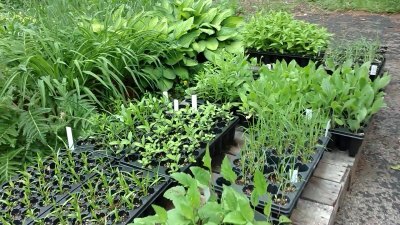 Each year they work with conservation groups throughout Michigan hosting native plant sales and workshops. Vern is a member of the Wildflower Association of Michigan (WAM) and served on the board of directors for several years. Vern and Sue have over 30 years' experience working with native plants and ecosystem restoration. They have consulted on projects throughout the state from home landscape design to university/corporate restoration and installation. Vern recently retired from the Michigan DNR Wildlife Division as a Senior Wildlife Assistant where his work specialized in grasslands and invasive species management. Go Grow Plant Natives is a native plant nursery specializing in Michigan native shrubs, trees, and wildflowers. This is its second year and GGPN is a state licensed and inspected nursery located one mile west of Charlotte. Go Grow Plant Natives is owned by Debbie and Dallas Montgomery. Debbie had worked under the guidance of Vern Stephens (Design by Nature) and has completed Master Gardening and Master Naturalist programs. She has a certificate in Permaculture and has completed the Lakes and Streams Leadership program. She is currently completing a certification in Natural Shoreline Professional Training and Conservation Stewart. GGPN also provides tree trimming / removal and seasoned firewood. Business hours are whenever you call, and someone is home. 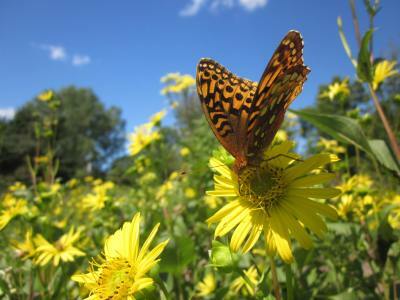 Michigan Wildflower Farm is a working farm open for visitation by appointment. We sell our seeds via our website, telephone and email. MWF has been a part of bringing people together with their natural surroundings since 1988. We produce native Michigan genotype seeds, are a supplier of Great Lakes Region native seeds and specialize in native planting services including consulting, site preparation, installation and management services for both commercial, public and private clients throughout Michigan. MWF also offers farm tours and workshop opportunities. This Michigan native has been an avid gardener since childhood. Now a state licensed and inspected grower, she has been growing native forbs and grasses locally for more than 15 years. Her Advanced Master Gardener and Master Naturalist programs were completed in 2000 and 2005 respectively. The decision to propagate her own plants came while working on restoration projects on both her own 6 acres and for the Izaak Walton League, a project she spearheaded. She is an active member of and/or frequent volunteer for the MSUE Master Gardener program, Dwight Lydell Chapter-Izaak Walton League, River City Wild Ones, Wildflower Association of MI and the Kent County Parks system. ​She Is Growing Wild sells and has also contributed over 80 Michigan native species to both the green industry and groups or individuals embracing the native ethic and it’s value. 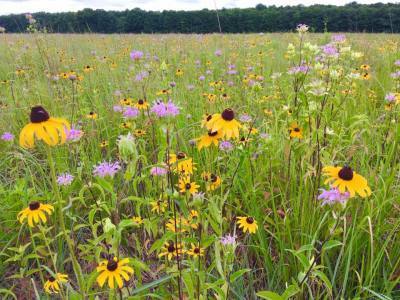 Seed sources: Kent, Newaygo and Benzie Counties, MI Wildflower Farm and Designs By Nature.